HOW TO REGISTER AND SUBSCRIBE. BEFORE YOU START. You may like to read About QAP-online and View Current Schemes available before proceeding. Have a look at how QAP-online works by selecting a Demonstration scheme in Andrology or Embryology. A demonstration report for a primary QAP question is also available to review.. This allows you to understand how to navigate when you become a subscriber. All the features associated with being a subscriber are not available using the examples but you will get an idea. When you register with QAP-online, the system will then know who is answering the questions and can provide you with more information, feedback, and some reporting capabilities which will go some way to developing your quality assurance program. Registering does not cost anything. QAP-online recommends you register and enroll on-line into the 2 free demonstration schemes to explore the features of QAP-online. 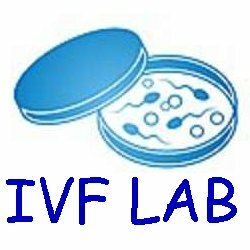 Registration also provides you with the opportunity to participate in the survey schemes or other free schemes such as the listing and discussion of abnormal embryos or other images. Again, you may like to read About QAP-online and View Current Schemes available before proceeding. First you need to select "Register here" and complete ALL the fields. If there are some fields for which there is no information please use ??. QAP-online will continue to ask for all fields to be completed before finalizing your registration. You will need to provide an e-mail address be it at home or work. The details you provide will only be used within QAP-online and not for any other purpose. You may cancel your registration at any time. You will be provided with a logon code and password. Please print these codes and store in a safe place. You will need them when next you return to QAP-online. Registration allows you to subscribe and participate in one or more to the QAP schemes available. Each QAP scheme has a number of installments or issues, usually 2-4 per month. On registering, you may view the installments in each schemes but you cannot see the images until you enroll. This will tell you if a scheme is free (like the demonstration schemes) or require payment before enrollment. When you register with QAP-online, you will have capability to enroll in any QAP scheme available. To do this, all you need to do is to select the scheme appropriate to you from a list. Since there may be several schemes in a discipline and the ability to subscribe to a scheme as an individual or as a clinic, there are several subscription options available. You may do this by one of the options listed below. You may subscribe to a scheme either as an individual or as part of a clinic subscription. The 2 options exist to encourage all scientific staff (and others, such as clinicians) to participate. An individual subscriber may enroll and pay for the subscription either by completing a subscription form ( see below) and returning with payment to FertAid Pty Ltd by post or by using the on-line credit card payment. With the credit card payment, you may purchase one or more units (as required) and proceed to enroll online and participate immediately. With the postal method, you will be notified when the registration is complete. If a clinic wishes to enroll in a scheme, the QAP supervisor should complete the clinic scheme enrollment form (see below) and forward it to FertAid with the names of the staff and their e-mail address. (Currently this can not be done on-line). QAP-online will create your registration (if not already registered) and enroll all clinic members in the requested schemes. FertAid also contains a separate folder for IVF clinics to list their procedures and provides banner advertising. This feature, like the FertShop site where suppliers may list their products, is designed for Patients to explore which clinic near them may met their needs. If you wish, you clinic may also include a subscription to IVFClinics as well. If a clinic wishes to enroll in all the schemes in a discipline e.g. Andrology, the QAP supervisor should complete the clinic scheme enrollment form (see below) and mark the checkbox 'Professional Subscription' and forward it to FertAid with the names of the staff and their e-mail address. (Currently this can not be done on-line). QAP-online will create your registration (if not already registered) as the QAP supervisor. This will allow all clinic members in the unrestricted access to the requested schemes. All the need to do is register, link their subscription to your clinic and enroll in the schemes. If a clinic wishes to enroll in all the schemes, the QAP supervisor should complete the clinic scheme enrollment form (see below) and mark the checkbox 'Global Subscription' and forward it to FertAid with the names of the staff and their e-mail address. (Currently this can not be done on-line). QAP-online will create your registration (if not already registered) as the QAP supervisor. This will allow all clinic members in the unrestricted access to the requested schemes. All the need to do is register, link their subscription to your clinic and enroll in the schemes. To Proceed with Subscription and Enrollment. To register and enroll several subscribers from the one clinic. This will allow your clinic to list the clinics procedures and promote the clinics information nights and other activities.